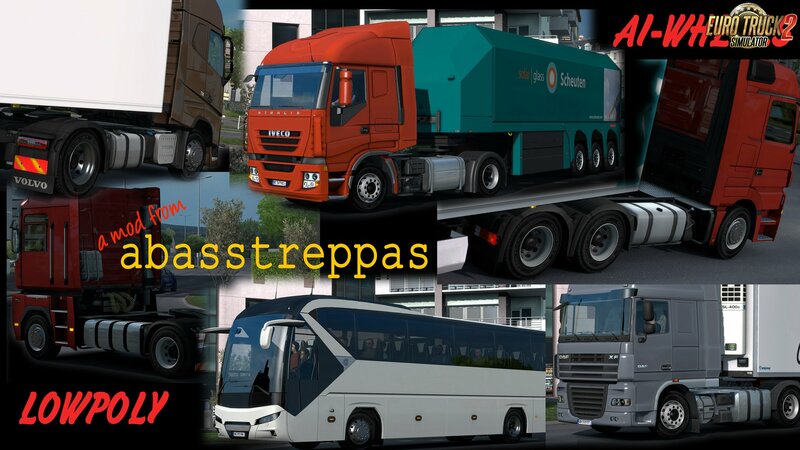 This mod replaces the wheels on all AI-trucks. They have all the same level of polys as the stock SCS wheels and will not affect the FPS of the game. -added the "econic" AI trash truck - a new AI vehicle that I'd missed. Keep original download links to always get the latest version!